Ringebu Stave Church, Ringebu Municipality in Norway. 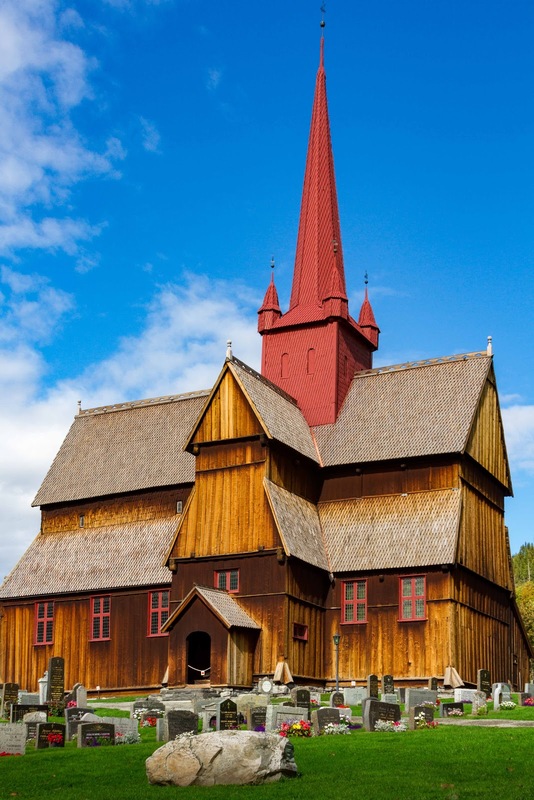 This Church was built in the first quarter of 13th Century and one of the 28 Stave churches remaining in Norway. The original church was renovated in the 17th century, when the distinctive red tower was added, and while at one stage the interior was painted white, the original coloring has since been restored.